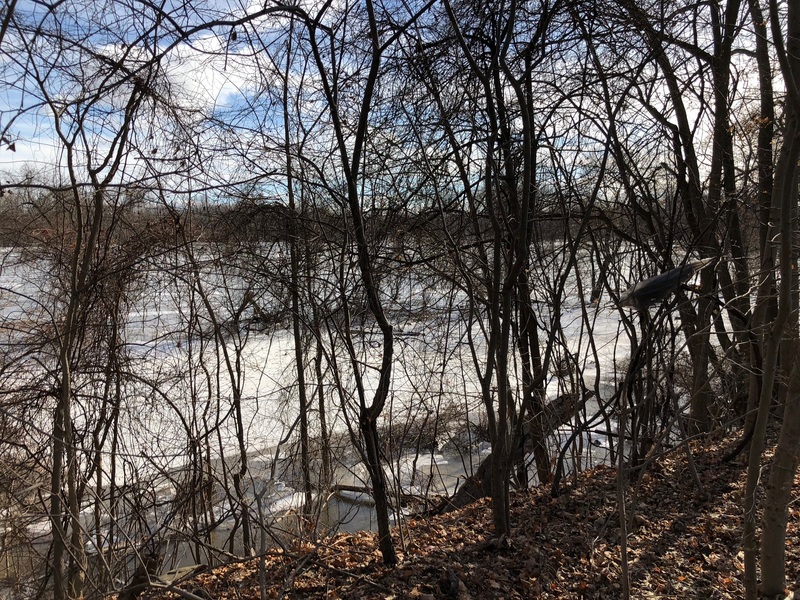 Warm weather, cold weather, rain, ice jams. In front of the Flint House the flooded corn field is level with the “creek”. Some maps call it Reese Creek, and historical maps show it in a variety of shapes; today it is just part of the river as it goes between and around the islands and shore. 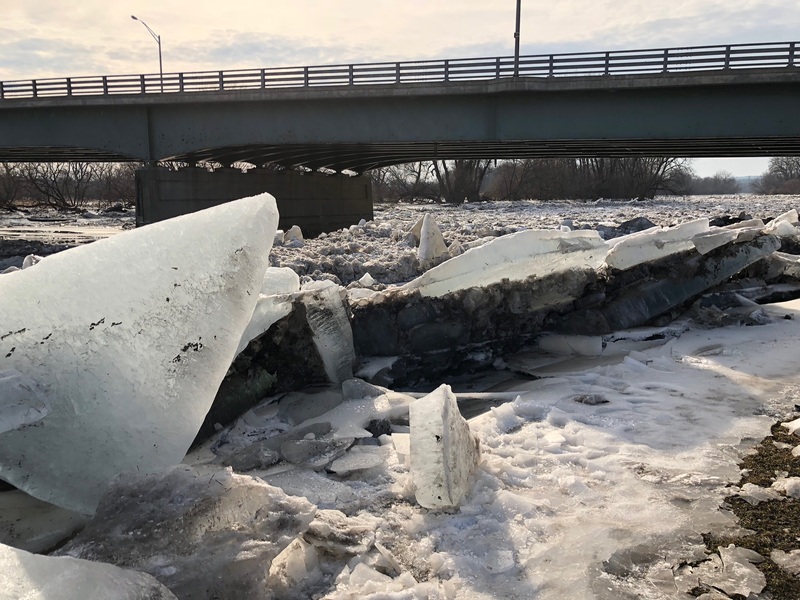 And the Mohawk at the Scotia bridge is a jumble of ice. New York State began a historical marker program in the 1920s, and Scotia has several. This one is pretty basic—but then, how often have you travelled over a pretty large river and had no idea what it was? In my travel experience, pretty often! Join the Glenville2020 committee from 5 to 8 p.m. on Thursday, January 25 at Glenville’s inaugural Pizza & Wing Bowl. Sample pizza and wings from Scotia & Glenville restaurants and beer from the Wolf Hollow Brewing Company. There will be raffle baskets with gift cards and merchandise, and you can cast your vote for the best selections of the evening. The event is at Mohawk Honda; tickets are $20 per person in advance and $25 at the door. 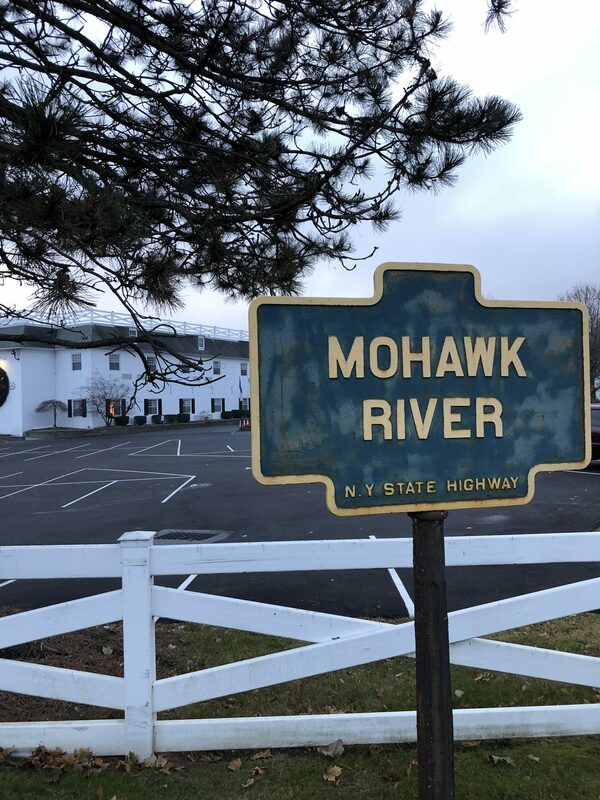 Tickets can be purchased at the Glenville Town Hall and at Mohawk Honda. For more information, including a list of the restaurants, see the announcement and flyer at https://glenville2020.com/events, or on the Glenville2020 Facebook page. All proceeds go to the restoration of the Yates Mansion in Glenville, one of the oldest buildings in town! Financial matters related to the Special Street Fund. The Building Committee instructed to purchase a new American flag for use at the Village Hall, and if money is available, to put a flag staff on the roof. Schenectady County will be paid $333.13 in 1918 for repairs and maintenance of the State Highway within the Village (22,209 square yards). This will be included in the Village budget and tax levy. Pay Ellis B. Edgar towards sewer work. Payroll and bill payments approved. A meeting was set up for December 3 about the assessments for sidewalks on Third St. All interested parties to be notified 10 days in advance. Discussion of payoff of Ballston St. improvement bonds from 1914. Board to offer a reward of $10 to anyone supplying information leading to arrest and conviction of any person or persons breaking street lights in the Village of Scotia. GE has repaired the leak in the suction pipe on the new water pump installed by them at the Scotia Water Works. Therefore, pay balance due of $190.27. Clerk to purchase another section of book case for the office, not to exceed $5.50. Pay Ellis B. Edgar for sewer work. A petition from property owners on First St., headed by L.E. Dempster, about correcting the grade of a portion of the street. This is not possible now, but it will be looked at in the spring. Payroll and payment of bills approved. Discussion of financial matters related to sewer bonds. Transfer money from Street Fund to Special Street Fund to pay the Village part of the Third Street sidewalk. Pay D. G. Belcher $170.44 for constructing the sidewalk.